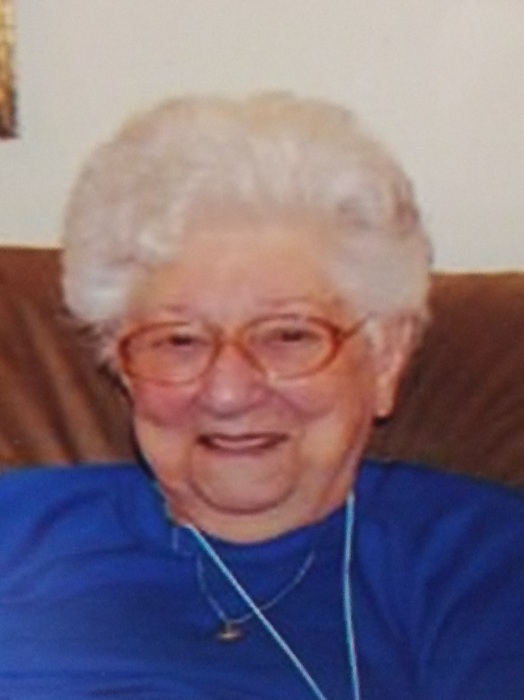 Betty Jane “Gummie” Rodnicki, 94, of Hopewell Twp., passed away on Tuesday, February 5, 2019. She was born on September 29, 1924 in Latrobe, PA a daughter of the late John and Mary (Cappriotti) Cicconi. Betty was a member of Our Lady of Fatima Catholic Church. In addition to her parents, she was preceded in death by her husband, Nicholas Rodnicki; a son-in-law, James Porpora; two brothers, Bernard and John Cicconi; and a sister, Josephine DiMarco. Betty is survived by a son, Nick Rodnicki and his wife Joyce, of Texas; a daughter, Bonnie Porpora, Hopewell Twp. ; three grandchildren, Jim Porpora; Tracy Porpora; and Nicholas Rodnicki and his wife Tina; three great grandchildren, Brenden; Zachary; and Stephen; and a brother, Joseph Cicconi and his wife Patricia, Beaver. Our heart-felt thank you to all the staff at Beaver Meadows and Hospice for their loving care and support shown to our mother. Friends will be received on Friday from 2-4pm and 6-8pm in Darroch Cremation and Funeral Tributes, Inc., 2640 Mill Street, Aliquippa www.darrochfuneralhome.com where prayers will be offered on Saturday at 9:30amfollowed by a Mass of Christian Burial at 10am in Our Lady of Fatima Catholic Church.